Every distinct element is essential to the quality of our chocolates, transforming the ordinary into something truly extraordinary. Hand-selecting all of our ingredients and building lasting relationships with farms and growers, we believe in using only premium chocolate made from superior grade cocoa beans and other all-natural, non-GMO, and when possible, Organic, Fairtrade, and locally-sourced ingredients. 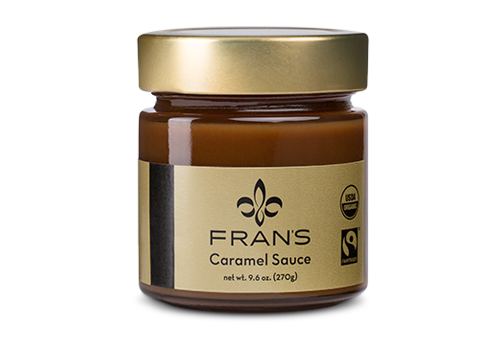 Produced from local organic farms, fresh cream and butter offer a subtle flavor that adds richness and depth to our confections. The creamy, velvety flavor of our organic Madagascar vanilla perfectly complements the taste of rich, premium chocolate. With deep flavor and a remarkably smooth finish, McCarthy's Oregon Single Malt Whiskey from Clear Creek Distillery in Portland is an excellent complement to our dark chocolate. Locally roasted by Seattle’s own Caffé Vita, our espresso is blended in true Northern Italian tradition. Oolong tea grown high in the mountains of Taiwan and blended by Tealeaves in Vancouver, BC creates exceptional flavor when steeped into our premium chocolate. Locally grown peppermint from Washington's Yakima Valley is infused into our dark chocolate for a delicate balance of flavors. Harvested off the coast of Brittany, France, sel gris (gray sea salt) is high in mineral content and has a natural, pearlescent shimmer. The distinct flavor uniquely complements our dark chocolate caramels and thins. Smoked over oak, Welsh sea salt develops a reduced salinity that pairs beautifully with our milk chocolate caramels and thins. We are committed to evaluating the integrity of our sources and maintaining the highest standards with our partnerships and our products. We source local and organic ingredients whenever possible. Some of the organic ingredients we use are sugar, cream, butter, tapioca syrup, lemon juice, ginger, hazelnuts, almonds, and macadamia nuts. All of our products are made with non-GMO ingredients. Our chocolate includes a small amount of European non-GMO soy lecithin which is used as an emulsifier. We have many confections with ingredient lists free of animal products. Make sure to try our delicious vegan confections: Dark Almond Trios; Chocolate Covered Apricots; Pressed Figs; Chocolate Covered Ginger; Orange Confit; Pistachio Marzipan; Spiced Macadamia Nuts; Almonds in Dark Chocolate; Caramelized Nuts & Nibs; Nibbits in Dark Chocolate; Raspberry Dessert Sauce; Dark Hot Chocolate (when prepared with water); Dark Chocolate Baking Bars (Fran’s Blend, Semisweet, Bittersweet); Pure Bars (Fran’s Blend, Crunch, Bittersweet); Chocolate Thins (Fran’s Blend, Gray Salt, Mint, Dark Chocolate); and seasonal dark chocolate molded items, like Santas, solid Hearts, Bunnies, Pumpkins, and Turkeys. Throughout our 36 years of handcrafting artisan confections, we have been dedicated to partnering with producers who have strong ethical, social, and environmental standards. We are now in the process of pursuing Fairtrade certification to allow us to formalize this long-held commitment. After working closely with Fairtrade America, we are excited to announce that many of our products are Fairtrade certified: Almond Gold Bars, Almond GoldBites, Macadamia Gold Bars, Park Bars, Salted Caramels, Classic Caramels, Peanut Butter Cups, Dessert Sauces, Gray Salt Thins, Smoked Salt Thins, and Deep Milk Chocolate Pure Bars . We are happy to provide you with as much information as you and your doctor may need to make an informed decision. We do not want to deprive anyone of our confections unnecessarily! Please call us at 206.322.0233 for a complete ingredient list, allergen results from laboratory tests, and answers to any questions you may have. We have a licensed and registered dietitian on staff to assist you with your inquiries. Most of our confections contain a small amount of non-GMO soy lecithin. According to research completed by the Food Allergy Research and Resource Program (FARRP), soy lecithin does not contain sufficient soy protein to provoke allergic reactions in the majority of soy allergic individuals. We recommend you discuss with your doctor if soy lecithin is safe for you. We do not use any gluten-containing ingredients in our confections. We have submitted our truffles, caramels, and chocolate covered fruits to the Food Allergy Research and Resource Program (FARRP), and no detectable levels of gluten were found (<5ppm). Our truffles and caramels contain dairy in the form of butter, milk, and cream. Our solid milk and white chocolates contain milk. None of our confections contain eggs. For non-dairy options, please see above for a list of our vegan confections. We process macadamias, almonds, hazelnuts, peanuts, pistachios, and coconut in our facility. We take pride in the cleanliness of our production facility, but it is possible our confections may contain traces of these nuts.